LeVar Burton has been capturing the admiring attention of both audiences and his industry peers for three decades, and continues to enjoy longevity truly rare within the industry. His deftness in avoiding stereotype continues to be a hallmark of an incredibly diverse career. Launching his acting career in the groundbreaking role of Kunta Kinte in the landmark television series ROOTS, Burton found himself on the cover of Time Magazine at the age of 19. Shortly thereafter, Burton achieved further global acclaim as Chief Engineer Geordi LaForge in Star Trek: The Next Generation TV series and feature films. 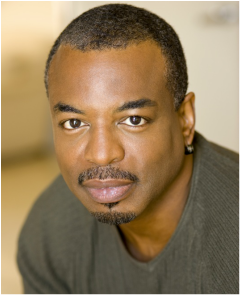 From 1983 until 2009, Burton was the host and producer of the beloved Peabody Award winning PBS children’s series, Reading Rainbow. The honored recipient of 12 Emmy Awards, a Grammy and 5 NAACP awards, LeVar has demonstrated in his career that he can do it all, whether acting, directing, producing or writing. No greater proof of his enduring appeal and deep personal connection with his audience is the fact that LeVar is one of the most followed people in the world on Twitter, with over 1.7M followers. Elizabeth “Betsy” Corcoran is co-founder and CEO of EdSurge , an award-winning news and information source on education technology. EdSurge delivers weekly newsletters, runs a vibrant jobs board, and a series of powerful Summits that bring together educators and entrepreneurs who are decision makers. Ms. Corcoran is an award winning journalist. She spent 10 years with Forbes, where she served as Executive Editor for technology at Forbes Media. She’s also been a staff writer for the Washington Post, a member of the Board of Editors of Scientific American and a Fellow in the Knight Science Journalism program at MIT. She holds a bachelor’s degree in economics from Georgetown University. She’s been a featured commentator on programs including Forbes on Fox, CNBC, and NBC's "Press Here.” She was named a “Rock Star” of education in 2013 and a Fellow of the Pahara Institute in 2016. Her sons attend public school in California. EdSurge will also present a session entitled "Silicon Valley Secrets: What School Leaders Need To Know about Technology" following Thursday's interview. 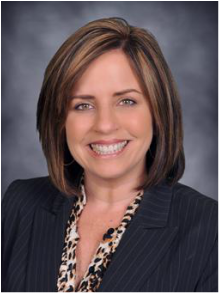 Dr. Candace Singh has served as the Superintendent of the Fallbrook Union Elementary School District since 2011. She began her career in public education in 1985, serving as an instructional assistant, elementary and middle level teacher, assistant principal, principal, district curriculum leader, and now, superintendent of schools. Dr. Singh also continues to serve as an adjunct faculty member at California State University San Marcos, inspiring and preparing future school leaders to develop cultures and systems that contribute to higher levels of achievement for all students. Under the leadership of Dr. Candace Singh, FUESD has undergone an academic and cultural transformation that has resulted in the highest growth in student achievement in the district’s history, with dramatic gains in student achievement and improved school cultures.